You have GOT to be kidding me. Directions on a boogie board? Sheesh. But I do agree--best fun EVER! 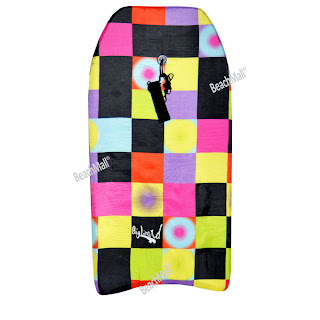 We have a boogie board that has also been used in the winter for sledding - standing up. I cannot recommend this use of boogie boards, as the result is beneficial neither for the child nor the boogie board. I will bet that my children are the reason the boogie board manufacturer felt compelled to include the verbiage you encountered. Labeling the different parts of a wave?! My kids use the cheap plastic sleds from Target, which - surprisingly enough - come with no instructions whatsoever. The children managed to get to the bottom of the hill, anyway - they must be sledding prodigies. Honestly, I wouldn't have a clue how to use a boogie board. But at least I can conjugate verbs, so I'm one up on somebody. i hear ya! I wouldn't know whether to hold the front or the sides. i wouldn't have know to lay(lol) on it or straddle it or perhaps sit on it while kneeling. so i don't personally think the directions are that nutty. As far as the hair dryer..there are many people who sleep with them. FOR REAL!!! there was a whole show on TV about it. people liking the warmth of them and the noise. Think people like me who need a fan on to sleep...but now it is all warm and cozy. Believe me, Korinthia, there is only one way. You'd figure it out quickly enough, particularly with everyone else at the beach using one, also. If there is a wrong way I would find it. I'm clever like that. My kids and I make a game of finding ridiculous instructions on things. Our current favorites are our hairdryer, which warns: Do not use while sleeping, and the new toaster oven, it tells us: Caution, this product gets hot while in use. But, my real favorite are the gel window clings that I got to decorate my girls' windows, the package had NOT A FOOD ITEM, THIS IS NOT EDIBLE, DO NOT EAT written in huge red letters across the front and the back. How many people had to mistake it for food for the company to add such a warning? The title of the instructions is killing me! The one year we did not tell the kids no standing on the sleds, oldest son fell off the first time down the hill, broke his army just below the shoulder. I'm guessing since we did not reiterate the warning, he did not think is still applies? Thanks for my morning chuckle. Yes, I know you posted this hours ago, but I'm a blog reader w/ my morning coffee. It's like posting instructions for pooping in your guest bathroom. Not really necessary and a little insulting. I'm glad I didn't just take a sip of lemonade when I read that comment! I would have needed to buy a new laptop. I may not be the most graceful creature on earth, but I'm pretty sure I would figure out how to use a boogie board without instructions. I now have Bob Dylan singing "Lay, Lady, Lay" in my head. Boogie boards are so so great! Easiest thing to use ever!! But instructions? Wow. Even better! Plus you got a post out of it.